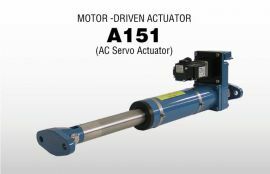 When the air brake or air clutch is used to control tension, the tension controller output current signals are converted into pneumatic signals by the electro-pneumatic converter. 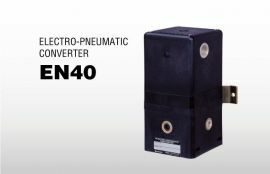 The EN40 electro-pneumatic converter uses the characteristics of moving coils and nozzle flappers to convert electrical input signals into air pressure signals. The EN40 produces air pressure output signals that have excellent linearity and frequency characteristics. The built-in volume booster means that the EN40 can supply various pneumatic devices with the necessary air volume and pressure. Through remote control, the range of application of the EN40 to industrial pneumatic equipment can be widened. Pneumatic equipment can be operated remotely because their control signals are sent as electrical signals. The air pressure is proportional to the electric current, enabling various kinds of industrial pneumatic devices to be operated. 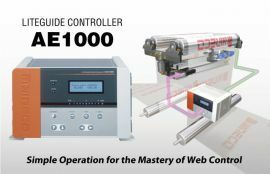 The EN40 has an internal volume booster that has excellent flow characteristics, enabling the direct control of ordinary industrial pneumatic devices. The EN40 is small and is designed to take up very little space. A manifold can be fitted. In the standard model, if the source pressure changes by 0.1 MPa, the output air pressure variation will be within 3%. This variation is even less with the pilot stabilizer model. A plastic resin with excellent strength and environmental durability (resistant to chemicals and weather) is used.